"It's the land of hospitality... unless you don't belong there." Southern Comfort is a documentary film. It shows the last few months in the life a transexual male. Due to the subject matter this may not be suitable for all viewers. This is an HBO documentary that is approximately ninety minutes. Robert Eads was originally born a woman. He lived an entire life as a woman including marriage and having kids. His immediate family eventually accepted him as a transgender man and visited him on his small country home. You find out early in the documentary that although Robert went through chest reconstruction surgery and is taking testosterone injections he never completed his gender reassignment surgery to include a hysterectomy. He is diagnosed with ovarian cancer. Robert than begins to seek treatment for his cancer. He is turned down by over twenty four ob-gyn doctors while searching for care. All the doctors are afraid that if they treat a transexual it will reflect poorly on their professional name. After trying for months without help he decides to live out his remaining days with his chosen family. Including other young transexual men he considers his sons and their partners as well a transgender female named Lola. Lola and Robert fall in love and when his condition becomes to bad for him to continue living on his own Robert moves in with Lola. Together the two live happily and get ready for the years annual Southern Comfort conference that is for the education of trans men and women. Every year Robert has been a great outspoken supporter of the Southern Comfort convention and he helps his chosen sons and their families with small seminars during the conference. Here Robert gives his final speech expressing his love to everyone knowing this will be his last Souther Comfort. In the end Robert is taken to a small nursing home with Lola and his family by his side. He soon passes away. 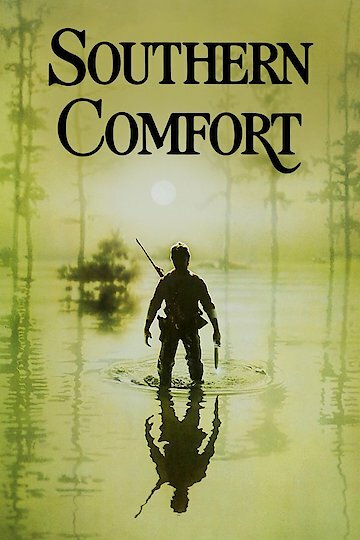 Southern Comfort is currently available to watch and stream, download on demand at Amazon Prime online.